The U.S. Court of Appeals, 8th Circuit, upheld the application of standard Missouri cosmetology license requirements for practitioners of African-style hair braiding January 11, rejecting a challenge of the laws’ constitutionality filed by two hair braiders and backed by eight libertarian policy groups and U.S. Senator Rand Paul as amici or friends of the court (Niang v. Carroll). The court found that, whether or not all of the training required for that license was necessary for braiders, the state had a rational motive in imposing the requirements; therefore, they were not in violation of the U.S. Constitution’s Fourteenth Amendment. 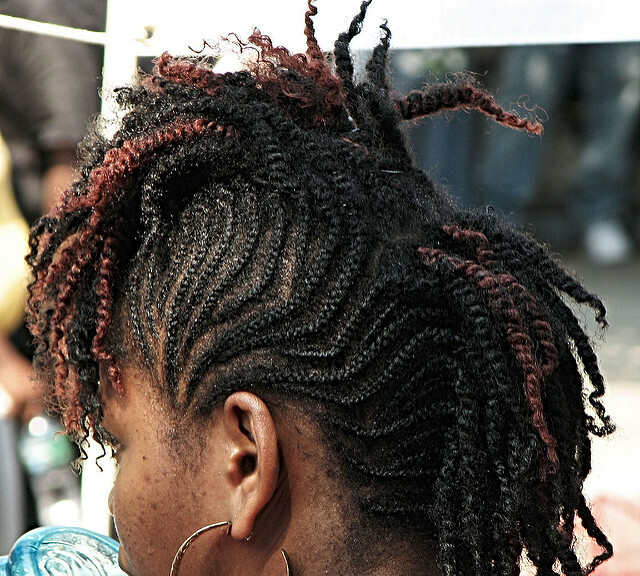 Entry restraints on hairbraiders, in particular those with skills in braiding African American hair, have become a rallying point for opponents of occupational regulation, who frequently charge that cosmetology training requirements are excessive and irrelevant curbs imposed on entrepreneurs offering a traditional skill, and diminish economic advancement opportunity for a minority group. The practice of African-style hair braiding is a form of hair-styling that typically involves the braiding of hair but not cutting or the use of chemicals, as found in more common cosmetology practice. Despite the limited scope of hair braiding, the Missouri professional licensing scheme requires hair braiders to complete a standard hairdressing or barbering cosmetology license, which includes at least 1,000 hours of training, much of it not directly related to braiding. The two hair braiders, Ndioba Niang and Tameka Stigers, who were unhappy with this regulatory structure, found support from several libertarian groups and allies: the Pacific Legal Foundation, Public Choice Scholars, Cato Institute, Reason Foundation, Individual Rights Foundation, Senator Rand Paul, the Goldwater Institute, Beacon Center of Tennessee, and the Show-Me Institute, in their lawsuit against the state. Niang and Stigers argued both that the standard cosmetology licensing requirements were not related to the legitimate regulation of their profession and that the state violated their rights to equal protection by treating hair braiders and barbers/hairdressers too similarly. After a federal district court rejected their arguments, the braiders appealed, and the case went up to the 8th Circuit Court. In Niang’s and Stigers’s view, the Missouri licensing regime is too overbroad and under-inclusive to be rationally related to the state’s interest. They pointed out that the state conceded that only about 10 percent of the required training courses is relevant to African-style braiders, and that almost all the exams do not test on braiding. The state had argued that the licensing requirements were necessary to protect consumers and ensure public health and safety. It cited evidence of health risks associated with braiding such as “hair loss, inflammation, and scalp infection.” In addition, the state presented evidence of scalp conditions that braiders must recognize as unsuitable for braiding. The judges at the appeals court found in favor of the state. First, Judge Duane Benton held that the “requirement furthers legitimate government interests in health and safety.” This holding rejected the braiders’ argument that the training requirements were not related to their practice and that regulating braiding as standard cosmetology did not suit the state’s goal of protecting public health. Judge Benton acknowledged that “the fit between the licensing requirement and the State’s interest is imperfect, but not unconstitutionally so.” Whether or not the requirements were overbroad as applied to braiders, as long as the state believed that the requirements were a rational way to achieve its goal and those means had some rational connection with license applicants’ fitness, the courts would not strike down them down. Because the practice of barbering was statutorily defined as to “dress the hair for the general public” and cosmetology, in part, as “arranging, dressing . . . or similar work upon the hair of any person,” the court held that the legislature had so concluded. Having addressed the braiders’ argument, the circuit court affirmed the district court, ending the case.